The Dirler-Cade estate is located in Alsace, France in the small village of Bergholtz. Guebwiller is the gateway of the lovely valley of Florival which leads to the summits of the Hautes Vosges. This family estate has 18 hectare of vines, almost half of their vineyards are classified Saering, Spiegel, Kessler or Kitterlé Grand Cru. The estate is a pioneer in the region in producing traditional method sparkling wines. The grapes are cultivated using biodynamic farming practices. The grapes are harvested at full phenolic ripeness from well-rooted and healthy vines, crushed and fermented in stainless steel vats for 3 weeks to 3 months and rests on the fine lees for 9 to 12 months before being filtered and bottled. 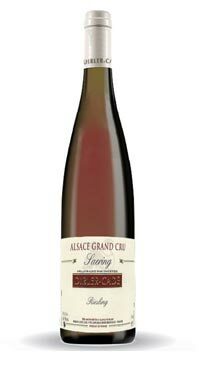 The Riesling Saering Grand Cru has vibrant citrus aromas and flavours, fine acidity ending on a saline note – 7 g/l of residual sugar.